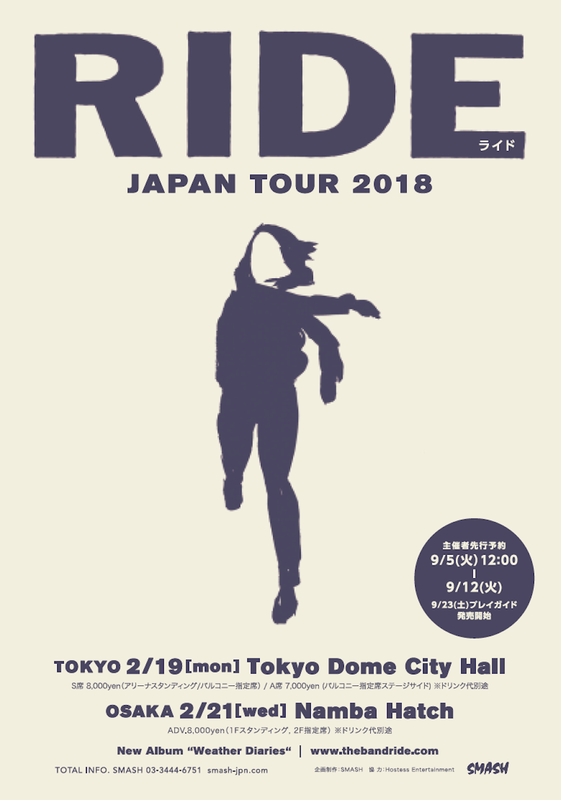 RIDE have announced some dates for Japan in 2018. Monday 19th February at Tokyo Dome City Hall and Wednesday 21st February at Osaka Namba Hatch. The gigs follow their recent appearance at the Hostess All-Nighter in Tokyo. Watch a fan shot video of their appearance below.